Francis J. Beckwith, Return to Rome: Confessions of an Evangelical Catholic . Grand Rapids, MI: Brazos Press, 2009. 144 pages. $10.19 paperback (Amazon). Click here or on the image to purchase Return to Rome from Amazon.com and help support The Other Journal. The zeitgeist is familiar enough: faced with powerful economic competitors, the empire is beginning to wane, retreating to a stance that might almost look like humility—its previous reach having stretched it thin and made it increasingly vulnerable. But concurrently, the confident march of science, secularism at its flank, presses forward. Like the Doppler effect of a steaming locomotive, the roaring advance of “the spirit of the age” compresses previously held assumptions and, in its wake, leaves them stretched and loosened, leaving room for doubt to expand and ripple across the landscape of faith. The result is an increasingly shrill and aggressive polemics between science and religion. Even within the realm of religion, a swelling ethos of doubt has infiltrated the church. Emerging voices and spiritualities are calling into question the status quo of religious institutions, and the reconfiguration of religion according to the rules of the market leaves ample room for all kinds of evangelical entrepreneurship. Economic and industrial upheavals have displaced many who are now concentrated in the abandoned spaces of inner cities—though evangelicals who have newly discovered a “social gospel” are responding in earnest. And in a parallel world, a burgeoning and paradoxically sophisticated decadence is sweeping the realms of culture; the dandy is king. In the midst of this swirl of cultural and religious upheaval, as the locomotive of progress and decadence speeds on, a number of prominent Protestants make their way to Rome—that haven of backwardness, retrenchment, and tradition. From the perspective of a confident (Protestant) modernity, this can only be a sign of religious recidivism. While almost any one of these threads of Victorian ferment finds contemporary analogues, of particular interest today is another wave of Protestant theologians and philosophers swimming the Tiber and returning to Rome. As Jason Byassee noted in his Christian Century piece, “Going Catholic,” over the past several years we have seen an impressive list of Anglican, Lutheran, Reformed, and even Mennonite theologians on a trail that led well past Canterbury.3 None of these moves, however, was heralded with the fanfare that accompanied Francis Beckwith’s return to Roman Catholicism in 2007. What upped the ante here was Beckwith’s specifically evangelical credentials—epitomized, at the time, by his position as President of the Evangelical Theological Society. Only the President of the American Academy of Religion joining the Assemblies of God could seem more incongruous. Not surprisingly, this move generated much discussion and hand-wringing within the cadre of conservative evangelical scholars. In other words, in returning to the church of his baptism, Beckwith didn’t have to renounce any of his intellectual agenda up to that point. What that seems to amount to is proving that this former “Evangelical” culture warrior (the capital E gives that away) is not resigning his commission. The platform that occupied his labors as an Evangelical colonel in the culture wars—concern for “objective truth,” protecting the unborn, and a rabid defense of free markets—still drives him as a “Roman Catholic” culture warrior. In short, Rome’s not so far from Colorado Springs (or La Mirada) after all. What Beckwith gets in his return to Rome is evangelical plus: evangelical fixation on doctrine, fretting about relativism, affirming “objective” knowledge, and embracing a narrow political agenda plus tradition, the primacy of the Roman see, and liturgical adornment. The path to Rome was a straight shot for an evangelical like Beckwith because he doesn’t see any inconsistency in the core “beliefs” of Rome and evangelicalism (as articulated, for instance, in the Evangelical Theological Society’s doctrinal statement). Beckwith has returned to the Rome of his evangelical dreams: a pure, pristine defender of truth, justice, and—not so surprisingly—the American way. No wonder, then, that he sees no tension between being “both Evangelical and Catholic.” His is an Evangelical Rome. This plays itself out in a curious conversation with his comrade J. P. Moreland. After reading Moreland a passage from an unnamed author who affirms that “the question about truth is the essential question of the Christian faith as such, and in that sense it inevitably has to do with philosophy,” Beckwith asks his colleague: “Guess who wrote this?” After Moreland reels off some favorite Protestant philosophers, Beckwith plays his gotcha: “It’s the Pope!” “He’s one of us!” Moreland replied in exuberance (78). Indeed, anyone familiar with the wider panoply of Roman Catholicism will be surprised (or not) by what’s missing from Beckwith’s Rome: where’s Pope Leo XIII? Rerum Novarum? The Catholic Worker? Oscar Romero and liberation theology? Hans Urs von Balthasar? Flannery O’Connor? Sacramentality? Indeed, where is love? That is, what role is there for an Augustinian tradition that emphasizes affectivity—the tradition that eventually gives us Pascal’s heart and its “reasons,” of which reason knows nothing? Admittedly, I approached Return to Rome with questions: “Whose Rome? Which Catholicism?” As I suspected, my questions were quickly answered. If we might distinguish between a “Peter Kreeft Catholicism” and an “Alasdair MacIntyre Catholicism” (or an “Ave Maria Catholicism” and a “Charles Taylor Catholicism”), Beckwith’s Rome is solidly located within the former camp. That is, it is a Rome largely cut to the measure of evangelical Protestant fixations—what David Schindler has described as a “Whig Thomism” that sits comfortably with a certain Americanism. But this is just one of many Catholicisms. I don’t deny that this is a Rome you can find perched on the edge of the Tiber. But if I ever make the plunge, as I’m sometimes wont to do, I’m swimming across to that corner of Rome populated with cafes where “bad” Catholics like Graham Greene and Oscar Wilde rail against the formation that nonetheless fuels their imaginations. Beckwith returns to an intellectualized Rome, fixated on truth. I find it hard to share this evangelical concern (that probably makes me a “bad” evangelical). Instead, I find myself tempted by Rome’s fictions. Click the image below to purchase this book from Amazon.com and help support The Other Journal. 1. See David Hempton, Evangelical Disenchantment: Nine Portraits of Faith and Doubt (New Haven, CT: Yale University Press, 2008); Timothy Larsen, Contested Christianity (Waco, TX: Baylor University Press, 2008); Timothy Larsen, Crisis of Doubt (New York, NY: Oxford University Press, 2006); Tristram Hunt, Building Jerusalem: The Rise and Fall of the Victorian City (New York, NY: Metropolitan Books, 2005). 2. See Charles Taylor, Sources of the Self: The Making of the Modern Identity (Cambridge, MA: Harvard University Press, 1989). 3. Jason Byassee, “Going Catholic,” Christian Century 123 (2008): 18-23, http://www.religion-online.org/showarticle.asp?title=3436. 4. 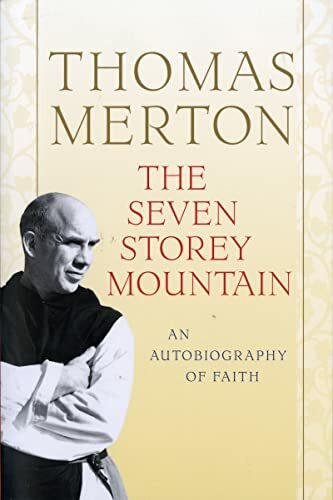 See Cardinal Newman, apologia pro vita sua (New York, NY: Penguin Classics,  2007); Josh McDowell, Evidence Demands a Verdict (Nashville, TN: Thomas Nelson Publishers, 1992); and Thomas Merton, The Seven Storey Mountain (New York, NY: Harcourt, 1948). 6. Joseph Ratzinger, quoted in “Listening to Benedict,” First Things, On the Square, April 15, 2008, http://www.firstthings.com/onthesquare/2008/04/listening-to-benedict. ← LoveHKFilm: "Top 100 Hong Kong Films of the Nineties"